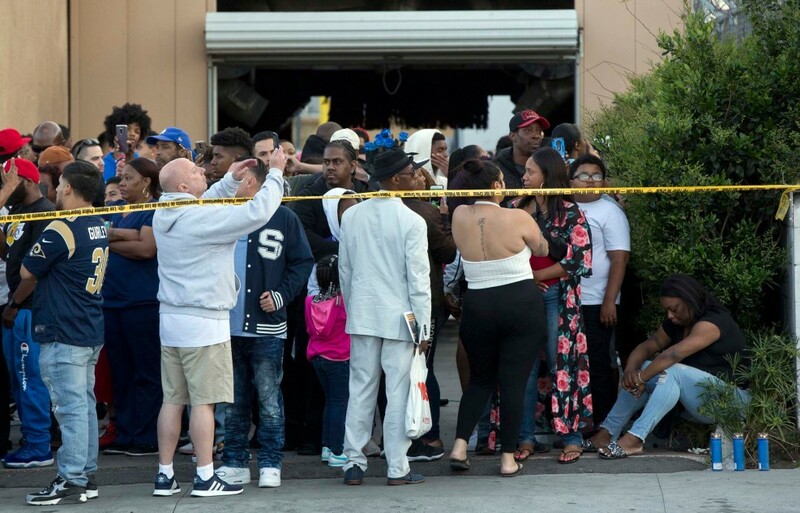 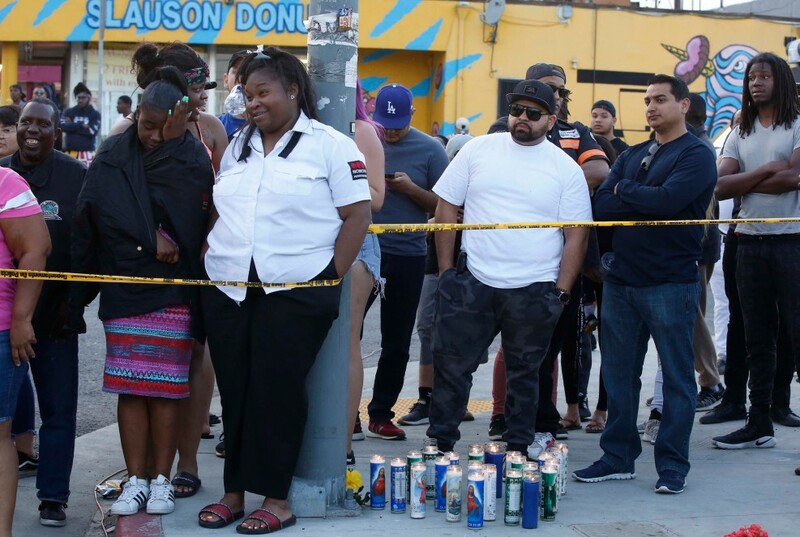 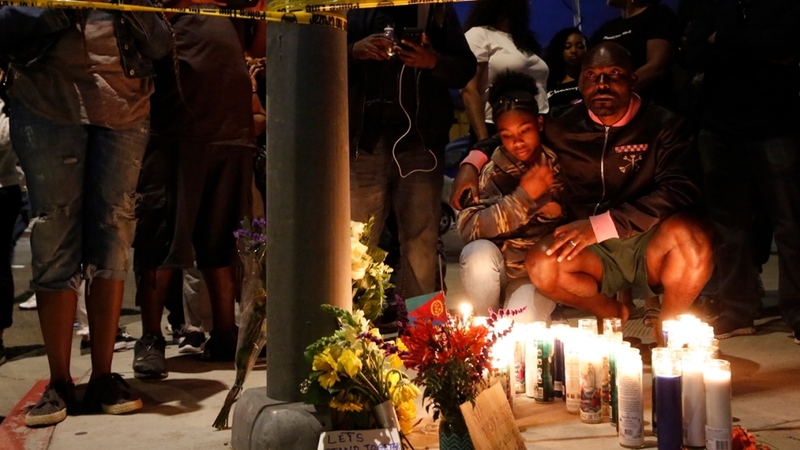 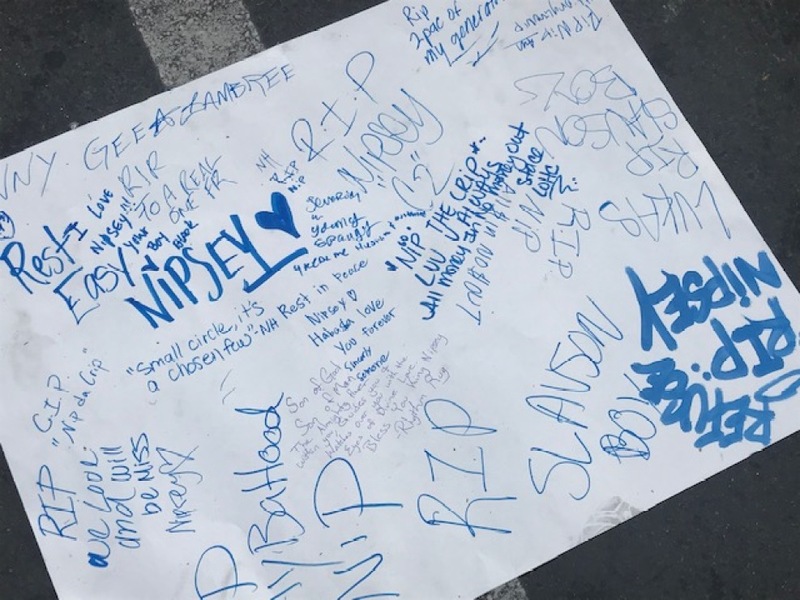 In the hours after the shooting death of rapper Nipsey Hussle, mourners gathered to remember the Grammy-nominated artist outside his clothing store in Los Angeles. 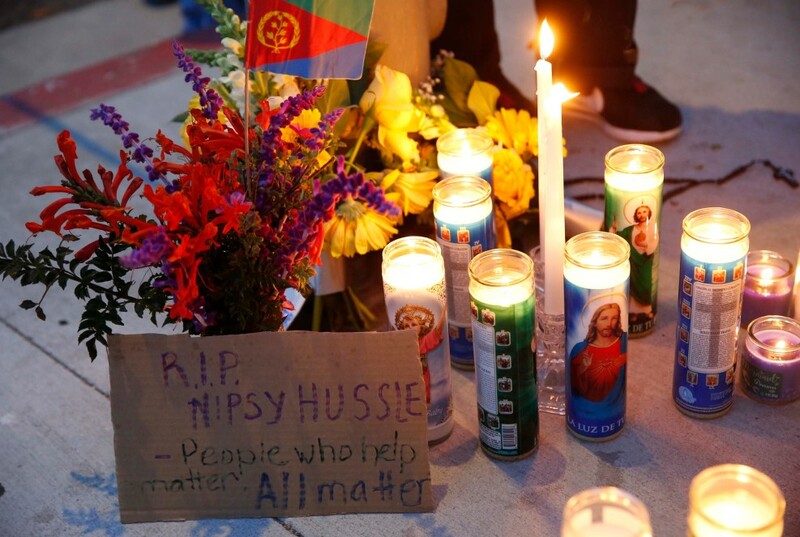 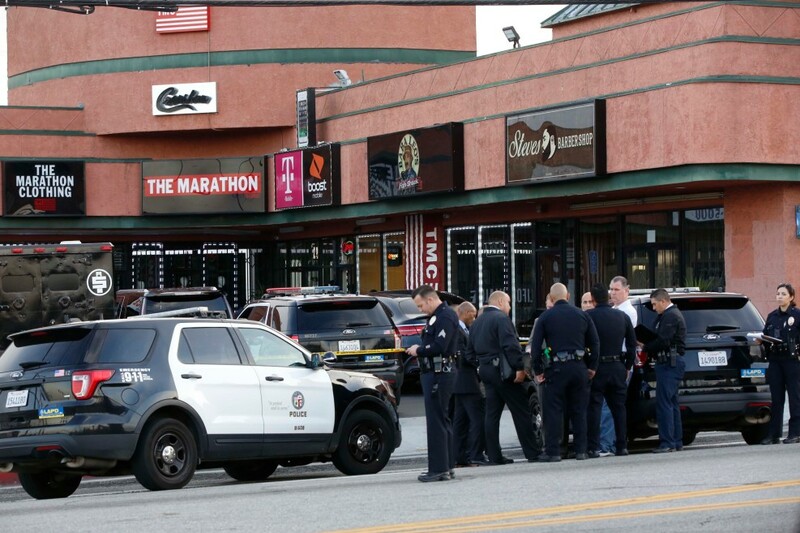 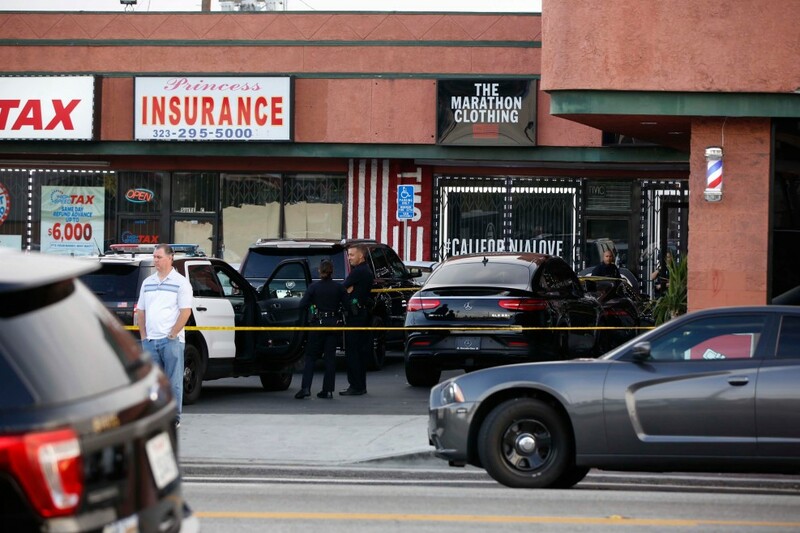 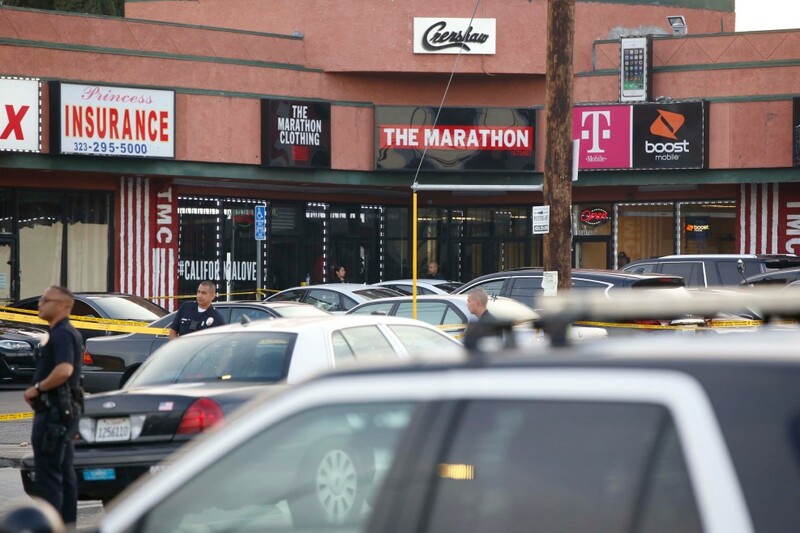 Hussle, 33, was killed outside his Marathon Clothing Company store in the Hyde Park area. 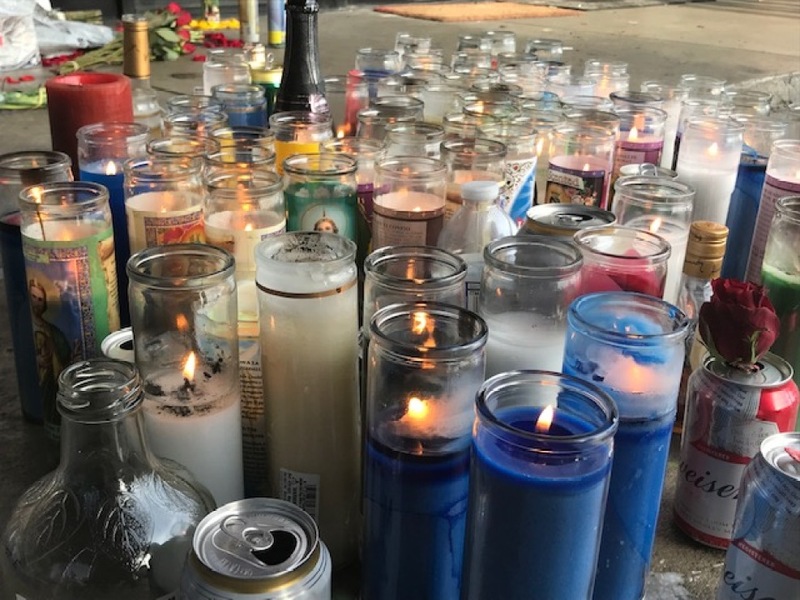 Candles, notes, flowers and other items were left at the site Sunday evening. 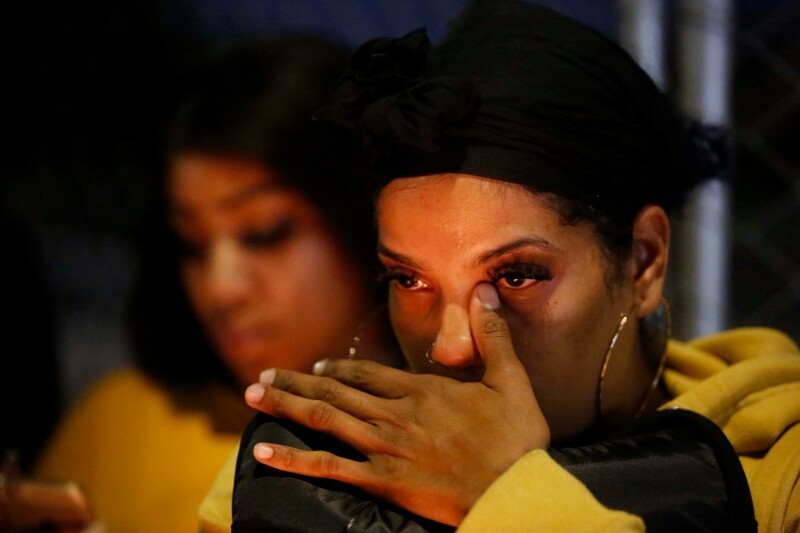 Some mourners remained there until the next morning. 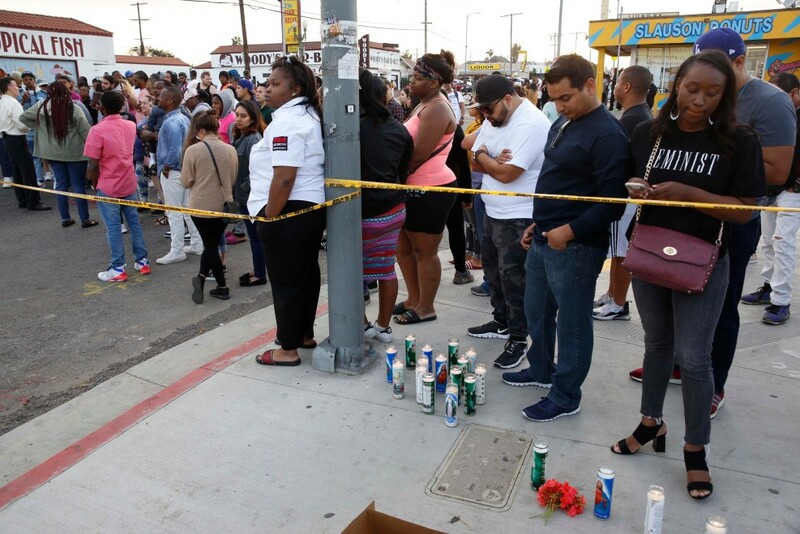 Haitian-French actor Jimmy Jean-Louis and his daughter Jasmin, 16, gather around candles set up across from the clothing store of rapper Nipsey Hussle in Los Angeles, Sunday, March 31, 2019. 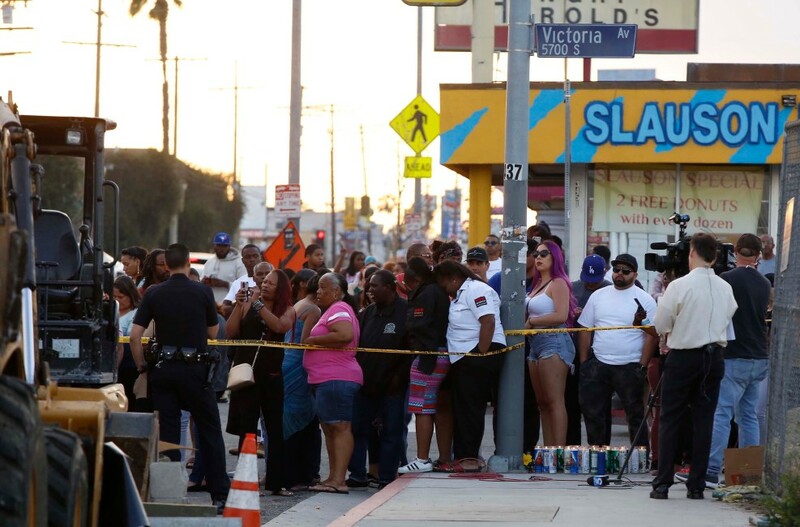 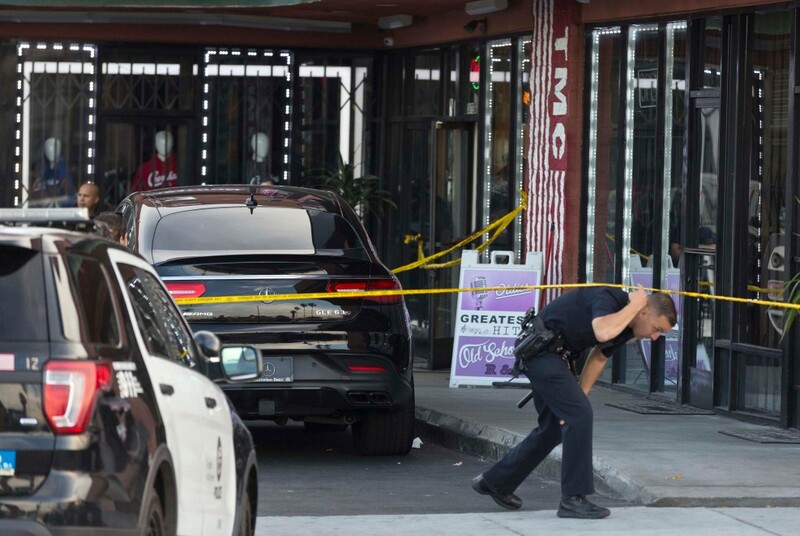 Hussle, the skilled and respected West Coast rapper who had a decade-long success with mixtapes but hit new heights with his Grammy-nominated major-label debut album in 2018, was shot and killed outside of his Los Angeles store. 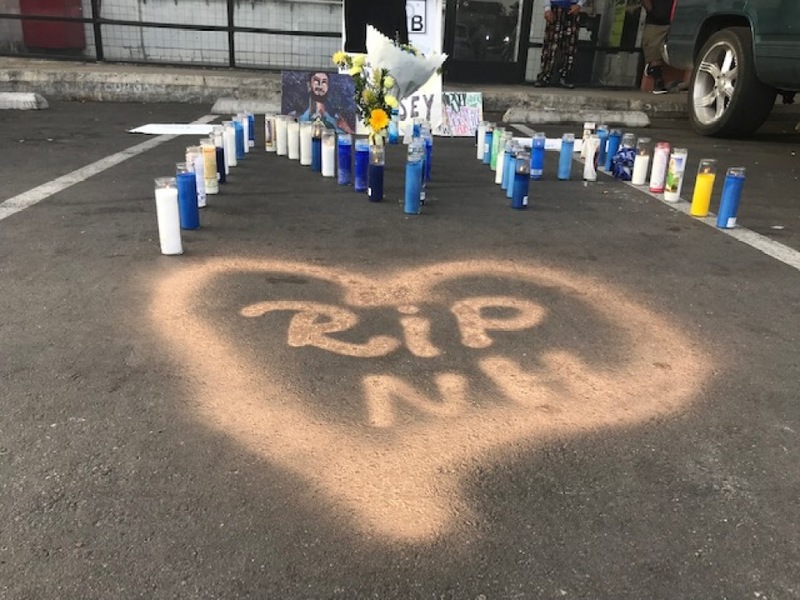 He was 33.